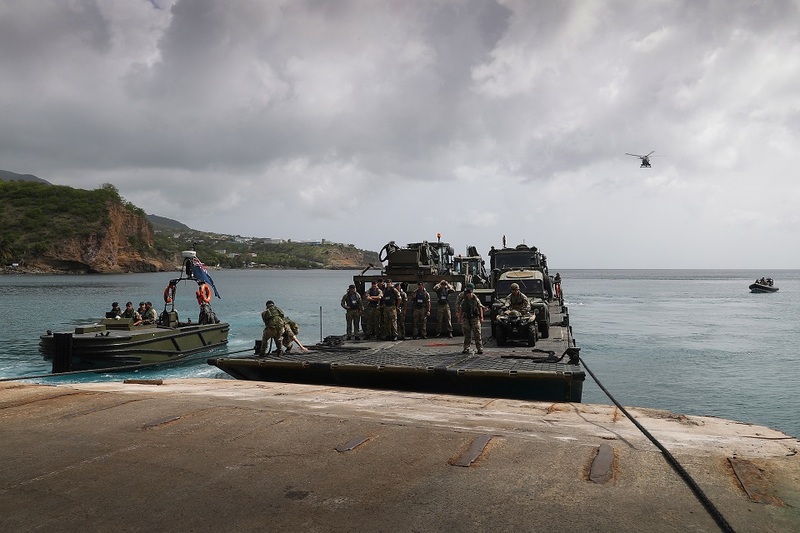 British Armed Forces minister MP Mark Lancaster visited Montserrat last week to give assurances of his government’s commitment to supporting the island and all of their overseas territories in the current hurricane season. In September 2017, the British government came under fire for not acting more swiftly to offer support to Anguilla and the British Virgin Islands, who received crippling damages during the passage of Hurricanes Irma and Maria. Mark Lancaster also visited Barbados, Antigua to reassure locals that the Ministry of Defence is supporting other Government departments to ensure that similar devastation is not repeated. Armed Forces Minister Mark Lancaster said “No matter what the elements throw at our Overseas Territories this year, we will be there to help them every step of the way throughout 2018 and beyond. We may not be able to prevent natural disasters from occurring, but our world-class military have been planning meticulously to ensure lives are protected and damage is kept to a minimum. “Our citizens in the Caribbean have already shown incredible resilience over the last year and we are determined that when this difficult period is over their local facilities are in a better state than they were before,” an official press statement read. Lancaster’s visit coincided with the presence of the Royal Fleet Auxiliary Mounts Bay, which is the support vessel assigned to the region for the second year. RFA Mounts Bay will act as the hub of the UK’s response, and the minister was able to see a demonstration of her amphibious capabilities while on island. As well as being able to carry vital aid and equipment, RFA Mounts Bay also has the latest Royal Navy Wildcat helicopter on board to provide aerial support – this will be the first time it has operated in the Caribbean. There is also a medical facility on board, with 10 patient beds for anyone who suffers serious injuries or illness. Foreign & Commonwealth Office minister Lord Ahmad of Wimbledon is currently visiting the British Virgin Islands, which suffered extensive damage, as the Government continues its preparations for 2018. He previously visited Montserrat in June to give assurances of the UK support.